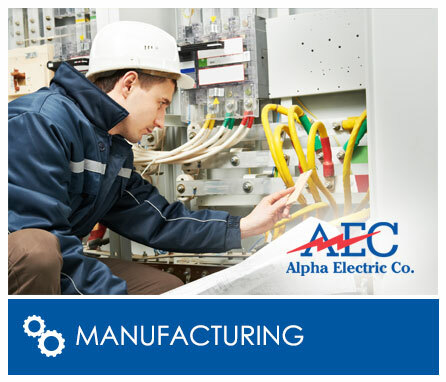 Alpha Electric has experience in assisting many local manufacturing companies with their electrical needs. We have service technicians available 24 hours a day, 7 days a week, to perform any emergency repairs your equipment requires. Understanding that reliability is important, Alpha Electric offers quality workmanship to keep machines and equipment performing at satisfactory levels. We can provide various types of bids for your new construction or remodel project, such as lump sum bids, performing the work on a time and material basis, or on a time and material not-to-exceed basis.